An individual’s last will and testament might clearly reflect one’s wishes, but it does not prevent an estate dispute. Successfully contesting a will in North Carolina (and similarly in other states) requires evidence of certain factors. Questioning the validity of a will generally addresses undue influence, improper execution of documents, or questionable last-minute changes. Disputing a will is a lengthy process that usually incurs significant costs. 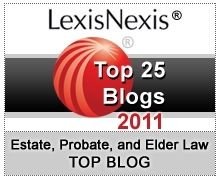 On top of the expenses, probate is not a private dealing. Since probate is a public filing process, the decedent’s will may be accessed by any individual. Family conflicts might result in will disputes. The decedent might have failed to keep family members up-to-date with the will’s terms or might have disinherited a relative who was not expecting to be excluded. Sometimes will disputes are necessary to resolve issues when an unscrupulous relative takes advantage of a testator’s declining health. Questions of testamentary capacity commonly surface among surviving family when a testator has a history of memory loss or dementia, but North Carolina courts have held in a number of cases that occasional memory loss does not indicate the testator lacked capacity to execute one’s will. The uncertainty of how the courts will address a dispute underscores how important it is to structure a proper estate plan. In best practice, a testator should approach one’s estate plan with the intention of preventing disputes of one’s wishes. Regular reviews help identify and manage issues as well as keep the terms of one’s estate plan current. A critical task that can ensure assets pass directly to loved ones involves beneficiary designations. The terms of a will do not take precedence over beneficiary designations on financial and retirement accounts. Trusts offer confidentiality, protection, and control over how assets are distributed to beneficiaries. Unlike a will, trust terms remain private. Assets held in trust for beneficiaries may be protected from creditor claims and judgments. This can ensure assets earned over a lifetime are not depleted. Should the trust creator have concerns over the spending habits of a beneficiary, a trust can include spendthrift provisions that would only allow distributions for certain expenses, like the purchase of a house or education. Since a will can be contested by anyone and becomes public when filed for probate, relying on a will solely for estate planning purposes is not ideal. Will contests in North Carolina, filed as a caveat to the will, generally fall within a three-year statute of limitations; however, some circumstances provide longer time periods. 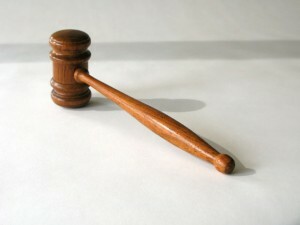 Check with an estate planning attorney in North Carolina before filing a dispute.